Festivals like Sundance often force writers to entirely give up on looking for themes with which to tie together films and just admit—“Here are four movies I’ve seen that I want to write about.” In fact, the four films in my first Sundance dispatch of 2015 have almost nothing in common, even emerging from four distinctly different parts of the world and styles of film. If they represent anything as a whole, it’s the diversity of a fest like Sundance, which can deliver high-powered works from varied genres and countries of origin…and varied quality. The best of this quartet is actually a film that premiered at Cannes last year, and is opening next week in New York and Los Angeles, Celine Sciamma’s excellent “Girlhood.” The film opened the Directors’ Fortnight at Cannes and has drawn mostly raves since then. Marieme (a revelatory Kairdja Touré) is in that formative portion of life defined by the title. She’s 16, and is growing up in an abusive household with seemingly few options for escape. At the beginning of the film, Marieme seems playful, almost as if in “childhood,” and she’s forced to make enough life decisions by the end to say she’s in “womenhood.” Sciamma seems to be saying that “Girlhood” is far-too-brief, especially for people forced to age too quickly. Marieme is an obviously smart but shy girl who finds herself drawn to a trio of more outgoing girls (played by Assa Sylla, Lindsay Karamoh and Mairétou Touré). They’re more confident than Marieme, but the friendship that quickly develops in this quartet gives Marieme the tools to make some crucial decisions in her life. Sciamma doesn’t force the coming-of-age arc, allowing her character to develop organically and believably, from the joyful singing of Rihanna’s “Diamonds” to the way Marieme orchestrates vengeance for a friend, nothing in “Girlhood” feels overtly orchestrated or manipulative. And, by the end, Marieme feels like a friend, someone we want to see succeed. The final shot is one that will linger long after Park City has closed. “Christmas, Again” is a less ambitious film, but works for some of the same reasons as “Girlhood”—investment in a believable, likable protagonist. Kentucker Audley plays Noel (obviously), a Christmas tree seller in New York City, returning to his annual spot for a fifth consecutive year. This year, Noel is a bit more melancholy than most. His regular customers note that his former gal pal is missing and his new assistant is less than committed to the job of selling Christmas trees. Noel is a helpful, kind person, but there’s an air of sadness around him, even after he rescues a young woman (Hannah Gross) who has passed out in the park. Is she the answer to his seasonal sadness? 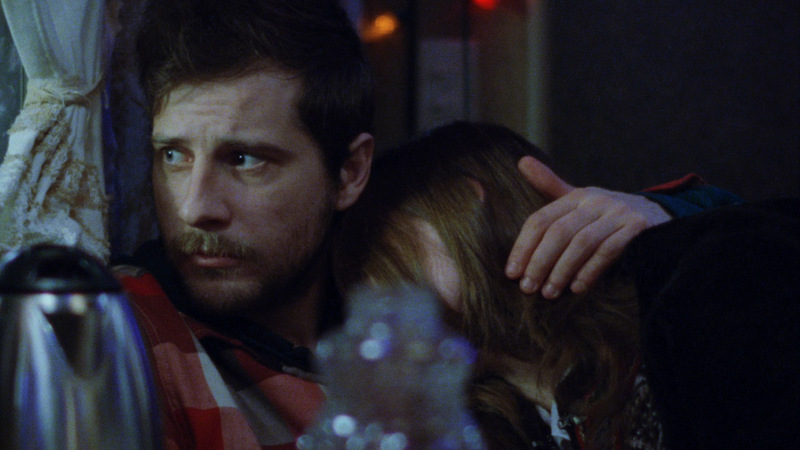 To say that writer/director Charles Poekel’s debut film is low-key would be an understatement, but there’s a quiet realism to the piece that affords the final act some surprisingly powerful emotional beats. Audley does his best work to date, conveying a deepening depression that doesn’t stop this man from trying to be helpful to those around him. And Gross is a real find, completely believable in every moment as the warmth that could rescue an increasingly chilly heart. It’s a delicate, simple film that really works. 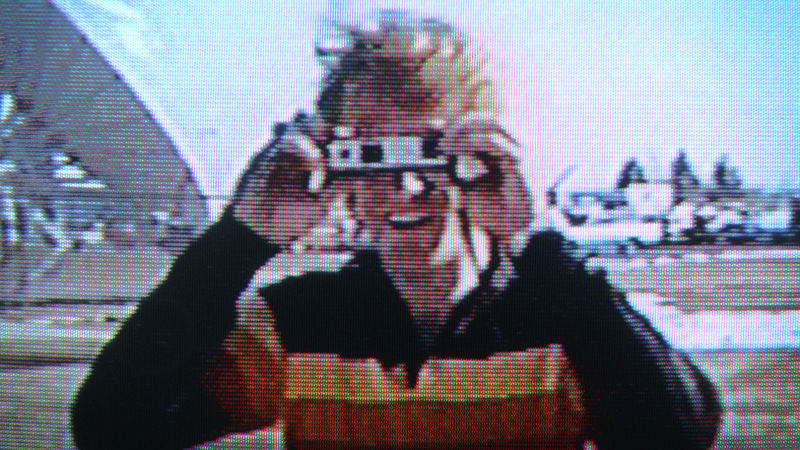 In 1979, KUTV in Salt Lake City got a new video camera and producer Trent Harris went out to the parking lot to test the equipment. He ran into an excited young man named “Groovin’ Gary,” who became the subject of Harris’ improvised short film. He even followed this fascinating character to a drag show, where he dressed up like Olivia Newton-John, but the documentary turned bittersweet and felt somewhat incomplete. Perhaps because of that fact, and maybe because of some behind-the-scenes dynamics with the original Gary, Harris felt he had to do it again, recreating the entire documentary a few years later with a pre-“Fast Times” Sean Penn in the “role” of Gary and on a budget of only $100. Even that wasn’t enough. Three years later, he did it again with Crispin Glover, believe it or not. The resulting “Beaver Trilogy” became a cult hit, even playing at Sundance. “Beaver Trilogy Part IV” is essentially the story of Harris’ unique films, which blur numerous lines—was the first one even “real” is worth asking—but it becomes an oddity in itself with a great final act turn. Harris is a fascinating interview subject, someone who always advises that you “Listen to your strangers”—take a chance on the people that cross your path because they could end up changing your life. That’s certainly what happened to Trent Harris when he went to a parking lot with a video camera. As a parent, “Most Likely to Succeed” hit me in that place that’s naturally concerned about the education of my three young children. 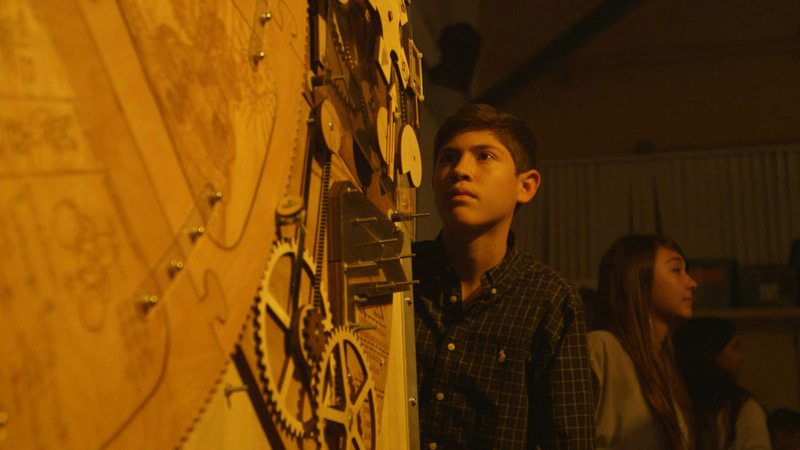 Plenty of documentaries have been made about the failures of our educational system in this country but Greg Whiteley’s film makes a case that our entire structure of how we teach and learn needs to be adjusted to match the electronic age. He fascinatingly points to the day in the mid-‘90s when a computer beat a master at chess as the turning point, noting that the upward trajectory of how much money this country can make and how many jobs it takes to make it started to diverge. Technology was replacing menial jobs, and our school system, from the bells that usher people to class to the basic skills that can now be done by iPhones, is still built on an antiquated model. Not at San Diego’s High Tech High, which has completely upended the entire structure. Teachers are on one-year contracts, students don’t get grades—they don’t even get lesson plans or much guidance. Conversation, exploration and examination is encouraged above test scores. Naturally, it has led to a lot of apprehension on the part of parents and even students, but it’s an establishment that’s asking an important question about what’s important to how we raise the next generation. Is it scary not to have the test scores that colleges need? Sure, but something needs to change in this system or the middle class will continue to suffer. And when one sees what the students produce in this documentary—including a fascinating restaging of a Greek tragedy in the Middle East by a female director and all-female cast—it’s hard to think that they’re doing more good for these kids than rote memorization. Only time will tell, but it’s a discussion that needs to start now. Maybe even in Park City. Next Article: Sundance 2015: “Dope” Previous Article: Sundance 2015 Interview: Christopher Abbott of "James White"